It was great!! They took me right away. All the staff were very kind and welcoming. I definitely recommend this placeto all of my family and friends. Dr. Jenni Koo is originally from Korea but was raised in Queens, New York. Between aquiring her artistic skills from her mother, who majored in fine arts, at the prestigious art College in Korea and receiving guidance from her uncle, who is a well-known lab technician in Virginia, she knew from an early age she wanted to be a dentist Dr. Koo received her Bachelors and Doctor of Dental Science degree from New York University College of Arts and Science and College of Dentistry in 1998. After her graduation, she was accepted into a General Practice residency at Montefiore Medical Center of Albert Einstein Medical School. During her residency, she was trained to treat various 24-hour emergency dental cases as well as assist in the treatment of head and neck surgery. She also trained in treating severely compromised cancer patients. At the completion of her residency, she accepted and served as a clinical faculty member at NYU. 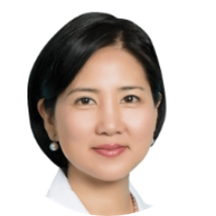 In addition to all her training and experience, Dr. Koo worked in US military clinic for 12 years serving US serviceman and family members. Having lived and traveled all over, Dr. Koo enjoys the DFW area, southern culture, weather and influx of growth. Dr. Koo is married and has 2 children. In her spare time, she enjoys watching her children play sports and swimming in their backyard pool. Excellent team/staff. Great listeners and providers of details regarding Dental Health.